A list of corporate offices and specific contacts are listed below, or use the form to send us a general inquiry via email. 2600 – 200 Granville St.
At Seaspan, we’ve developed a workplace where every challenge is seen as an opportunity. 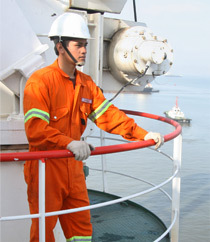 Click below to view our current openings at sea and on shore.